Measure table-to-wall clearance. Measure the space around the room. To allow diners to sit down and get up easily from their seats, try to leave 42-48″ between your table and the walls. Measure table-to-furniture clearance. 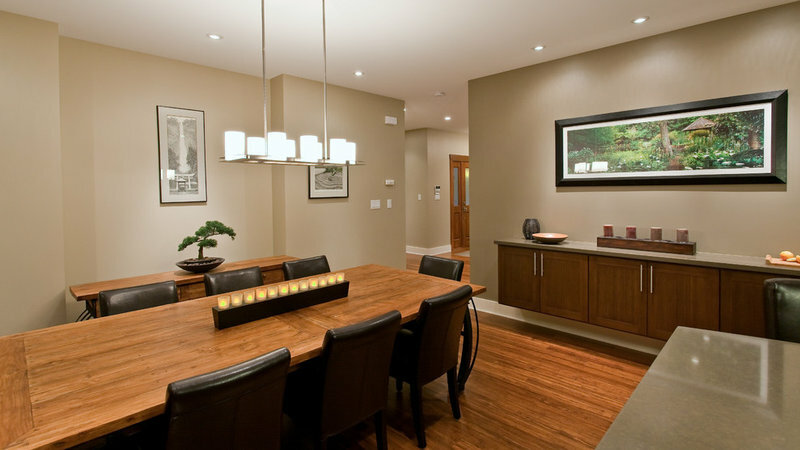 If there is furniture in the dining space, begin your 42-48″ measurement from the edge of the furniture instead of the wall. My crazy way of measuring. To test out a table size in a room I grab a bed sheet or two, place it where the table will go, and fold it into the shape of the table. This allows me to visualize the space it will take up. Then I can measure the wall/furniture-to-table clearance. If your table has leaves, include them in your calculations. Don’t overcrowd your table.The table manufacturer should recommend the number of people that can comfortably be seated without touching elbows while eating. Each person needs about 2 feet of eating space. Of course, if your table allows for it, you might be able to squeeze in another seat or for those occasional larger gatherings. 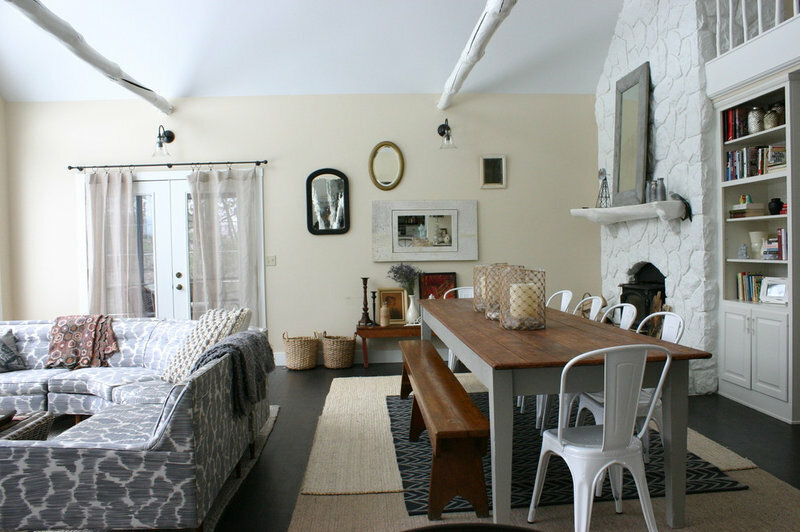 Round tables are great for small spaces. They fit in tight spaces and have no sharp corners to bump into. You can usually fit more people around it because it has no corners. 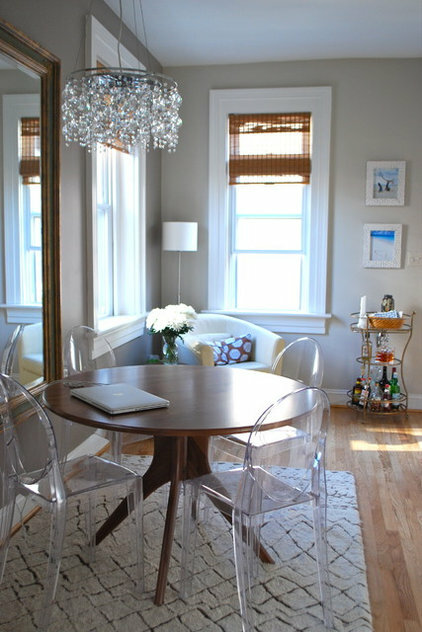 Pedestal tables are even better, as they offer more legroom.Add transparent acrylic chairs to show of a beautiful table and make a small room feel more spacious. Seating size for a round table.I usually stick to this calculation to begin looking for round tables. Manufacturers may offer different recommendations, and you might be able to add more seating for a tighter fit. Also keep in mind that using a pedastal base allows more seating because it eliminates the legs that can get in the way of a chair. Note: Large round tables can make it difficult to reach for food. Rectangular shapes seem to work better for seating very large crowds. Seating size for a rectangular table. These are the sizes I stick to when looking for rectangular tables. Again, manufacturers may offer different recommendations, and you might be able to add more seating for a tighter fit. Lazy susan feature. If you choose a round table 60-72″ in diameter, add the convenience of a center lazy susan. Although the round table can be a space saver, the larger it gets the harder it becomes to reach the mashed potatoes. 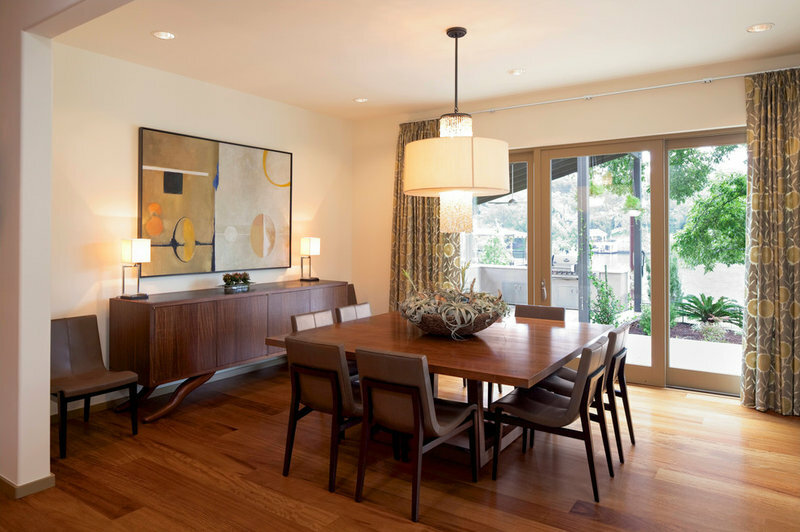 Go square.If your room is square, a square table, like a round one, makes for a more intimate dining experience because everyone is an equal distance apart. Also it will look great mimicking the room shape around it.Like the round table, the bigger a square table is, the harder it will be to reach for food. If you are looking to seat more than eight people comfortably, try out your table in person. You might be better off with a square table that comes with leaves that you can turn into a rectangular shape for a dinner party. 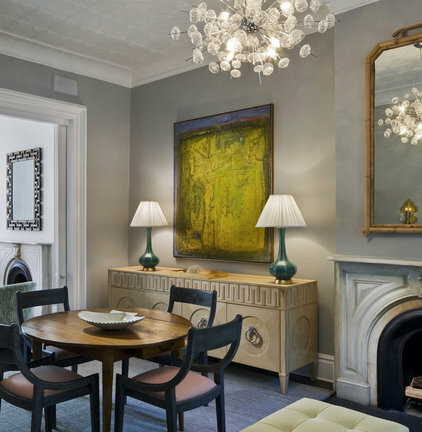 Fashionable and functional, chandeliers should be incorporated into the home just as any decorative accessory or object of art would be chosen. When shopping for a chandelier, the American Lighting Association suggests the following tips to help you find the fixture of your dreams. 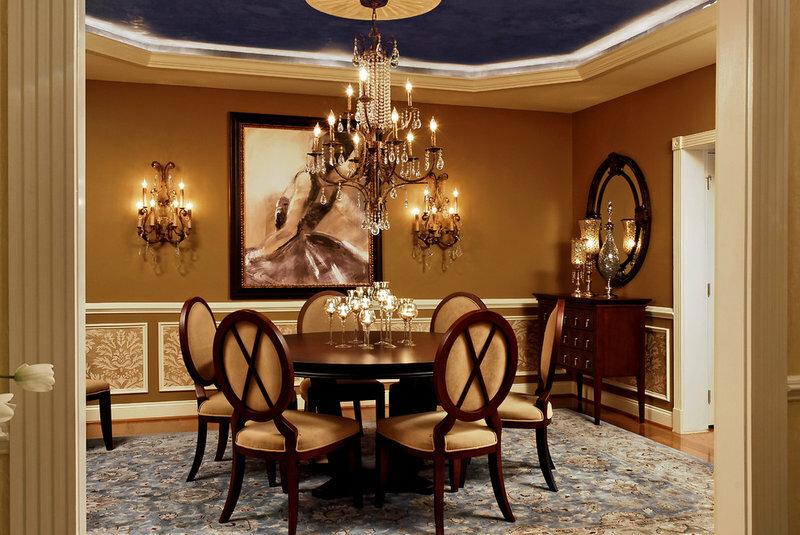 Check it out: Scrutinize the chandelier before buying. Look at detail and finish quality. Castings should be neat out of the mould so they look clean. Shades or other attachments should sit neatly in a plumb fashion. Ask the cut and quality of the crystal and durability of finishes. 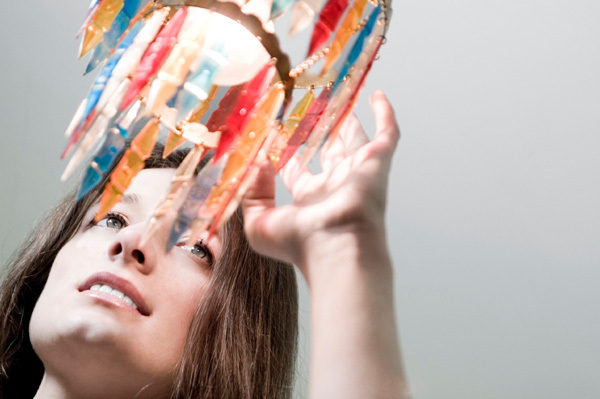 Light it right: Be sure to choose the correct lightbulbs for your particular chandelier. According to the experts, clear bulbs in chandeliers with exposed bulbs, or crystal glass enclosures will enhance sparkle. In chandeliers with linen shades, frosted bulbs cast a pleasing glow and won’t create shadows. Buy a few extra lightbulbs for chandeliers at the time of purchase. Nothing’s worse that having a bulb go out right before a dinner party!